Snowdune is Sheffield / Rotherham (UK) based musician Andy Trigg. I work mostly solo but collaborate and produce with many other musicians and writers. I’ve done several songs with Bri Littlehales and my cousin Mick Brears, and they’ve helped me and played on many of my solo songs as well as co-writing and producing some of the earlier Snowdune tracks. 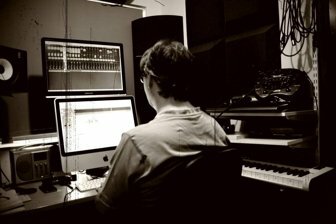 I create a diverse range of music drawing on wide ranging disparate influences including rock, dance, electronic, ambient, ballads, quirky tunes and prog rock. I’ve produced and co-written with various other local musicians from Sheffield including Sam from Stop Drop Robot, Danny Lowe from Rumpus / Loveboat / Big bad Wow, and Fourth City’s Mat Hume, and hope to work with many more. I’ve also remixed several other artist’s work including some trance tunes. 4 Snowdune tracks have been accepted on music libraries (Getty Music and Record-Play) for potential use in film, tv and adverts. I don’t use music samples but do use occasional vocal samples or more rarely wav drum loops. Everything else is played or created by myself and any collaborators. I prefer to create percussion in midi, the percussion on tracks other than dance is painstakingly created using BFD2/3 to try and get a real drummer feel. My dance tracks often have relatively complex percussion parts more similar to how a rock drummer might play rather than a drum machine, even if using drum machine type sounds.